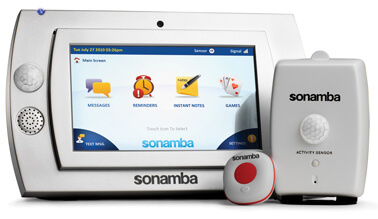 PomDevices launched Sonamba at CES 2011. Sonamba is device made for seniors. Sonamba monitors their well-being and also keeps connected to family members and care givers. It also provides them with medication notifications and other useful information. 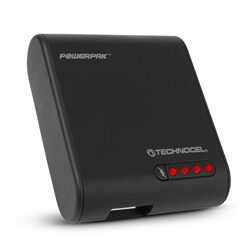 There is a base unit and then various smaller devices that can be carried or placed elsewhere that can communicate with the base. But Sonamba goes way beyond being a medical device – it has many features that will keep the user connected and updated all of the time. Check out the video below to see all of the cool features such as remote contact, pictures, and more. 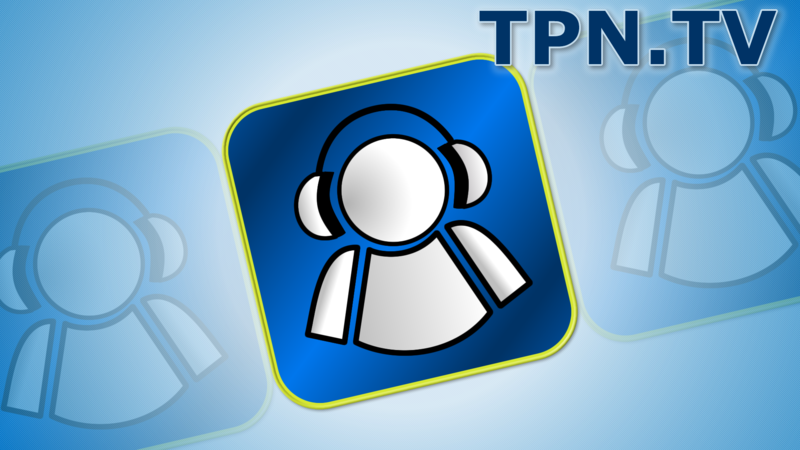 Graeme Finlayson joins Andy and Tom for theTPN Live CES coverage. He shows off Green Plug – which deal with what are known as “Wall Warts”. Aka the power supplies you get whose size overtakes 2-3 plugs. Therefore, they work on making a standard in plug use. Communication between the adaptor and the wall – putting intelligence into the plug. Heather Shelstad CourseSmart joins Tom and Andy. CourseSmart is a Textbook and Digital Course material website. McGraw-Hill (for example) works with CourseSmart to get the latest information. Gone are the days of old expensive textbooks. The mobile access means you can get an iPad and buy your books through the virtual bookshelf. Andy and Tom interview Ariel Garten, CEO ofInteraXon. InteraXon is thought controlled computing. The system consists of a lightweight headset with two electrodes that detects brainwaves such as alpha and beta waves. Different patterns are associated with different mental states, e.g. concentrating with beta waves and relaxed with alpha, so as your mind changes states an action can be taken. Trivially, you can link your concentration to a light, so while you are concentrating on reading, the light is on and bright, but as you relax and drift off to sleep, the light dims before finally turning off. Obviously, it’s early days for the technology and Ariel likens the current state to that of voice recognition 20 years ago. Ariel believes that in the future this will be the main way that users interact with technology. On show was a game called ZenBound 2 which is available for the iPhone and iPad. Normally, the player uses their fingers to manipulate a rope around a sculpture but with InteraXon the player can use their mind to control the game. You can see this in Andy’s video or the original is here. At the end of the game, you can get a report about how you were able to focus or relax. Ariel also mentions some of the possible medical benefits which are potentially available now that you have a portable EEG system. It uses both Bluetooth or Wifi to communicate from the headband to mobile devices. USB 3.0 is rolling out as we speak and LaCie is preparing for it. Philip talked about the latest USB 3.0 devices from LaCie; the new high-speed FastKey USB 3.0 SSD memory stick. This device comes in 30GB, 60GB and 120GB sizes. 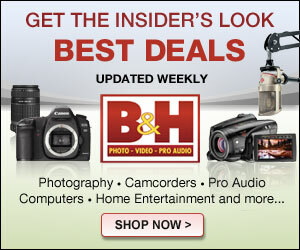 The prices start from $149, with the 120 GB being $474. It’s amazing what we can store and put in our pockets. LaCie also showed off their other USB 3.0 rugged external drives and designer models. Joe Costello, CEO of Orb joined the Live coverage of CES. Orb is a company that is solving how to get digital content to your TV and stereo. Orb music, Orb TV and most interesting Orb BR. This is a technology where a disc you put in a media live enabled blu-ray player that is connected to the same network where your media is. All Orb devices can be controlled through a smart phone. The Orb Music player is available now for $69.00 the Orb TV is $99.00, the Orb BR should ship sometime in February for $20.00. All these devices not only stream the media on your network but also online media. Interview by Jeffrey Powers of Geekazine. and Tom Newman of The Fogview Podcast.